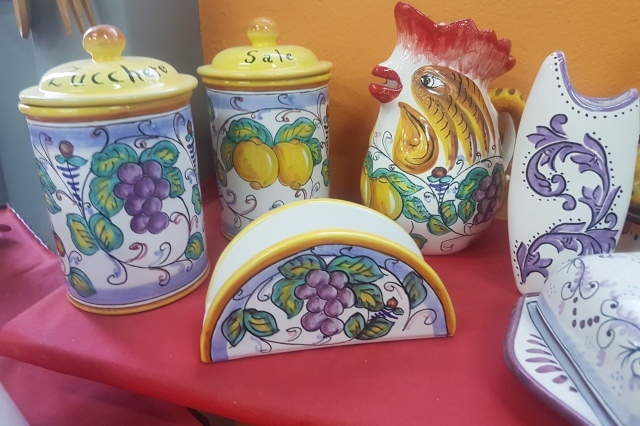 The products of Lonely Art Ceramica di Mignone Giustina are realizes with raw materials of the highest quality and colors suitable for containing food. Lonely Art boasts of national awards. All our products are made and hand painted with materials and colors suitable for containing food and above all 100% Made in Italy. Contact us for your every event or simply to give you a present. 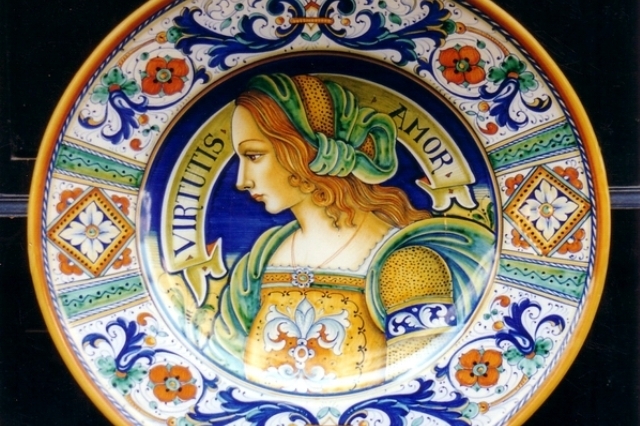 Mignone Giustina with its decades of experience, makes paintings on Vietri majolica, lava stone, on glass, with the ability to customize each work to meet the needs of its customers. To give a touch of originality during an event such as birthdays, weddings, baptisms, festivities & agrave; they are made on customer request, glass decorations for shop windows, glass blocks, mirrors. Experience and recognition are translated into works of art on ceramics. We realize hand-painted on majolica, lava stone, glass of all shapes. We have many decorations to customize on table and kitchen products, antiposter, plates, jugs, glasses, napkin rings, cup holders, and much more. Lonely Art Ceramica di Mignone Giustina realizes decorations on glass to embellish during the holiday periods or to celevate an event the location. We customize our ceramics with the logo and the header of our customers. We have many decorations to customize on table and kitchen products: antiposter, plates, jugs, glasses, napkin rings, cup holders, and much more. We offer the wedding favors service, proposing the complete set, from the wedding favor up to its packaging. Availability to choose between numerous products of various sizes and shapes. Experience and recognition are translated into works of art on ceramics. We make hand-painted paintings on majolica, lava stone, glass of all shapes, tables, tables, benches and fountains. We have many decors to customize on table and kitchen products: oil, mozzarella, sponge holder, spoon holder, ceramic plate holder, olive and toothpick holder, salt and pepper + tray, Limoncello Set and much more. 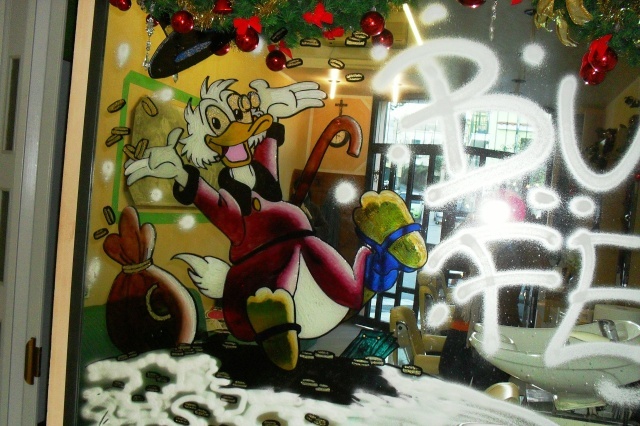 Make paintings on tiles, tiles, flooring, coatings and Plans Kitchen, panels murals and icons, tables, side tables. We have many decorations to customize on table and kitchen products: Salt jar, Set of 2 coffee cups + ceramic tray, Milk cup with double saucer and much more. We have many decorations to customize on table and kitchen products: 2-course set, pizza plate, appetizer plate. We produce, on customer request, tiles, majolica, wall tiles, kitchen hobs for masonry kitchens, with different decorations or religious settings, landscapes, views and faces. We have many decorations to customize on tableware and kitchen products as well as countless choices in the objects sector. We are also specialized in the realization of countless different decors, including religious settings, landscapes, views and faces. Customization of ceramic products including floors and walls.